The world wide web changes every day. Being a business owner, you have to stay updated with all changes in Google, otherwise you would be left behind in the race. 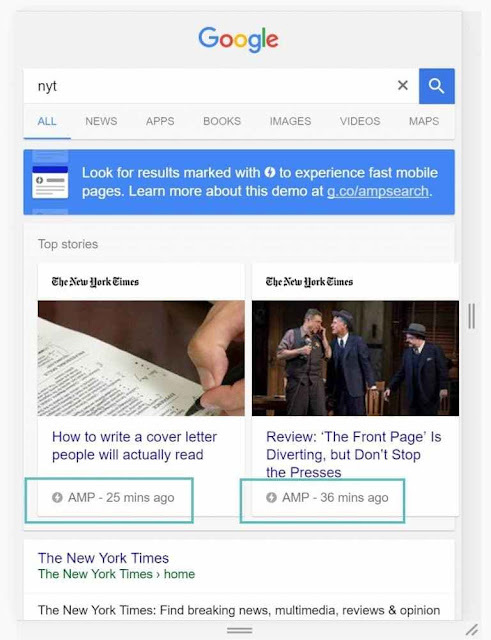 Google AMP, the mobile initiative to speed up the web, is now almost one years old. It has a got fame now, so lets tell you about Google AMP in today’s post. We will discuss its pros and cons and how to integrate it with WordPress Websites. Many big companies have adopted Google AMP in recent years. Some of the examples are WordPress, Reddit, eBay, Pinterest, Gizmodo and Washington Post. In Google, when page is served via AMP, AMP symbol will be shown next to it, but you must be on a mobile device to test this. Also, you can make use of device emulator in the dev tools of chrome. AMP comes with many advantages and disadvantages. Let’s discuss some of its advantages. First of all it is free and open source. It improves the load time of your wordpress site. You can get better placement in SERPs. Moreover, Google AMP forces a lot of web performance practices. One example is prevention of large CSS and JS frameworks. It will be fruitful for your conversions. Advertising options are also included in the past year. Hence, magazines and new publications can lead to increase in Adsense revenue. Images are automatically optimized. Let’s take a look at some of the Limitations. AMP is not a ranking factor currently, but it will definitely be in future. Also if you are not a developer, it might be difficult for you to test and implement. It is a whole new thing to understand and learn. No resemblance with simply optimized mobile websites. A lot of third party scripts and applications are not supported. There is no support for some old browsers as well. How To Integrate Google AMP In WordPress Websites? It is very easy to implement Google AMP in wordpress. It was not like six months ago. Now the WordPress has improved a lot and WordPress plugins have also got better. Do not forget that your code must validate with Google, in order to show AMP version of your site in SERPs. A plugin will convert your post into its AMP version and your WordPress post gets different URL assigned to it. That’s the responsibility of plugin. Currently, there are two wordpress plugins in wordpress repository which can help you to implement Google AMP in your wordpress site. We will discuss both of them one by one. It is official wordpress plugin for Google AMP. It is built by team at Automattic. It has got more than 200,000 installations and 3.5 out of 5 stars. It can be easily downloaded from WordPress repository. Under the appearance AMP editor you can customize the appearance a little bit. You must know how to implement additional filters for features such as AdSense or Analytics. Also, beware that AMP for wordpress only supports the posts and not pages. 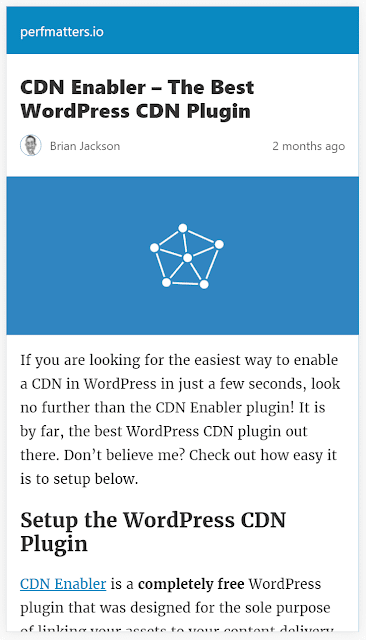 Here is how, our WordPress post looks like after installation of this plugin. Looking for an easy way to have the additional features? You must try AMP for WP, which is more advanced version of the official AMP plugin and comes with additional features and support. This is an efficient plugin with more than 70,000 active installs and 4.6 out of 5 stars. It enables you to customize with your Google AMP setup. Here is how AMP for WP screen looks after installation. 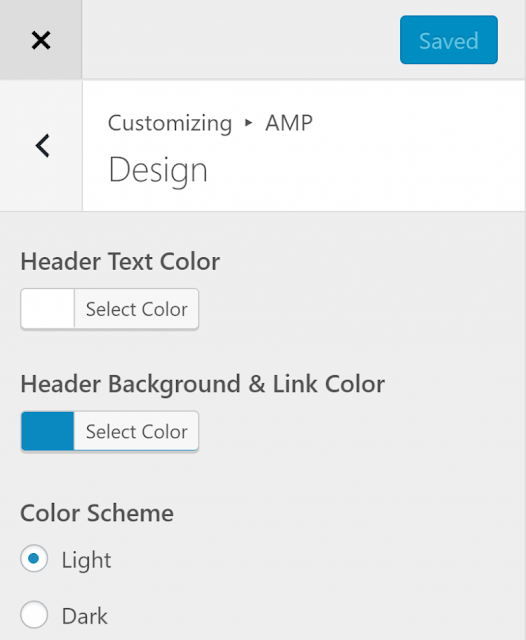 AMP for WP comes with thousands of customization options. Lets take a look at some of them. In general section you can choose whether you want AMP enabled on your pages or not. Moreover, you can add a logo or customize the size. In homepage section, you choose what will happen if users click on the logo. and override thumbnail page size. Also, you can enable or disable homepage support. 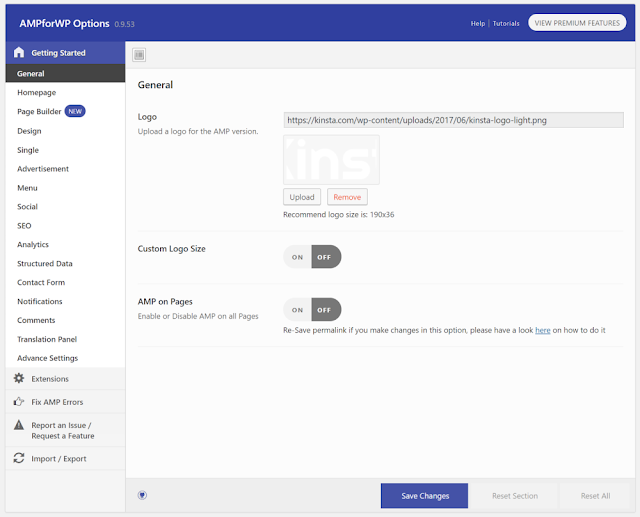 In page builder section, you can allow AMP widgets to be used. In design section, you can select any design from pre designed templates. Also you ca launch post builder. There is optin for custom CSS and separate options to turn on/off search and call now button. There is advertisement section where can enable AdSense and choose the placements. You can also choose whether or not to add /amp/ at the end of menu URLs, in the section of AMP menu. The SEO section is one of the most important sections. It deals with how google will see and rank your AMP content. In the advanced settings section, you can enable mobile redirection. Also you can choose to enable or disable RTL support. 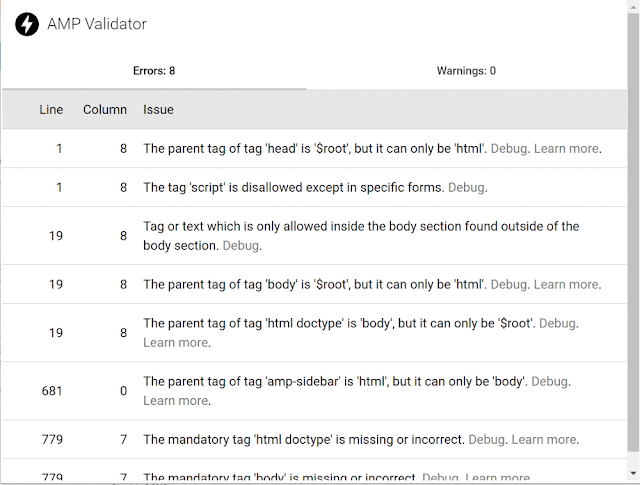 How To Validate Your Google AMP Code Implemented on WordPress Blog? 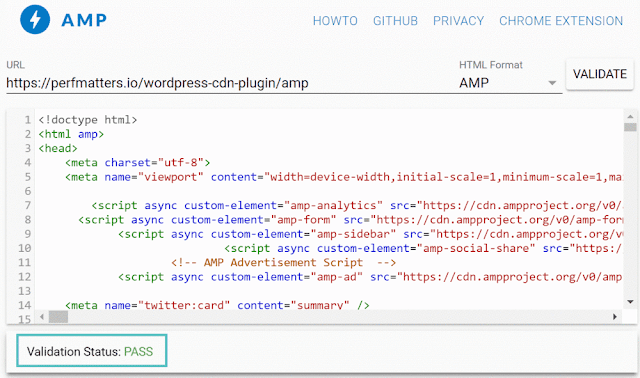 The next step after getting Google AMP setup on your WordPress site is to make sure that your code validates. Otherwise, Google won’t show the AMP version in SERPs. So run your WordPress site through Google AMP validator tool. At the bottom of the screen it will show the result. Either pass or fail. Also, there is free Chrome AMP extension, which validates each of the page. In case, it does not pass validation, you will see an error like this: “Not a valid AMP page”. Also, Google Search Console, can help you. Go to “Search Appearance” section and check for AMP issues in your site. If you are looking for Complete WordPress Website Development Packages that include domain name, web hosting and website development, MT Web Sol is here to setup everything for you. Our team has 5 years of experience with Latest Web Technologies and we are proud to serve our valuable clients globally. Get in Touch to discuss your project today! This entry was posted in Wordpress Development, Wordpress Plugins and tagged Accelerated Mobile Pages, AMP, Google AMP, Way to Enable WordPress AMP, Wordpress, WordPress AMP Plugin, WordPress Plugin.